Divine Specialties is a Southern California distributor of fine food products and ingredients. With over 75 years of collective experience, we have cultivated relationships with suppliers worldwide which allow us to offer unique products, from many well-known and respected global brands, making us one of California’s premiere distributors of imported and domestic sweet and savory food products and ingredients. Our mission is to provide the best selection of quality products and ingredients, at fair market prices, with an unwavering commitment to customer service and prompt delivery. That’s The Divine Difference. 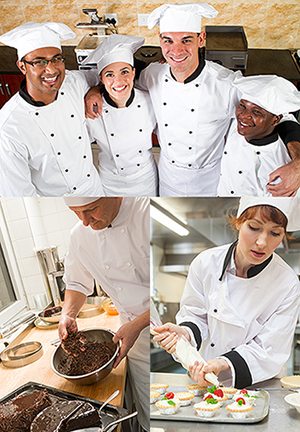 We serve everyone in the food industry, from executive chefs to home chefs, including caterers, retail, institutional, and hospitality foodservice operators, and food manufacturers as well. Direct delivery to all of Southern California and shipping to domestic U.S. market. 24-hour online ordering and one-on-one customer support 7am – 5pm PST. Executive Chef consultation and assistance with recipe and menu development, and product ideation. Wide selection of premium quality, unique specialty food and beverage products, chef tools, and paper and plastic products. Premier brand partners, widely recognized for their premium product offerings, are selected by Divine Specialties based on the quality and high performance standards of their products, and the wide range of their products in categories such as baking ingredients, beverage and cocktail products, and chocolate products. Our Divine Specialties brand products have been developed through our years of experience in foodservice. All of our branded products are designed and formulated to meet the highest performance standards, and Divine Specialties brand has become the brand of choice for professional chefs working in many areas of foodservice and product development. Divine Specialties has developed valued partnerships with some of the best known and respected brands that offer a wide array of premium sweet and savory food products and ingredients.